No Sugar Banana Bran Muffins! These refined sugar free banana muffins are sweetened with nothing but bananas and dates. 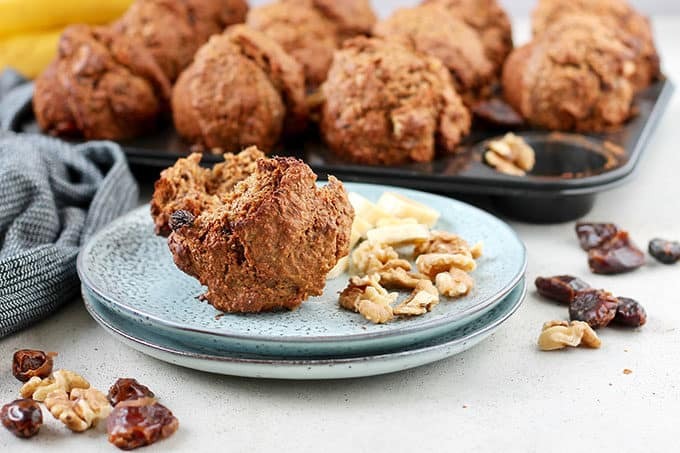 Made with whole wheat flour, oats, lots of bran, and studded with walnuts and banana chunks, these healthy bran muffins make a great breakfast, snack, or lunchbox treat.